It’s unlike any other book you have ever read. It is an experimental piece of work, and Mark nailed it. It goes against the traditional way of telling a story. You’ll see for yourself! What’s just as crazy is that it is about a book, about another book, about a film, about this house. As if that’s not enough, the genre is a mixture of romance and horror. How awesome is that? 2. 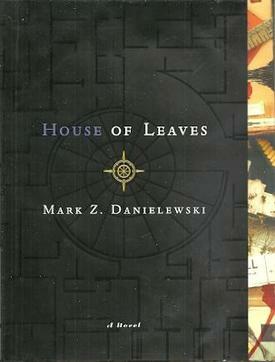 House of Leaves won’t leave you bored! Every single page in this book is a piece of art. The formatting on each page is different. While you’re trying to keep track of which story is being told, the words on the page crave a different kind of attention. Sometimes there’s two words on a page, sometimes you have the flip the book upside-down to read it, and sometimes you have to use a mirror to read it correctly. Some words are italicized, some are bold, and some are typed in red ink with a strike through it. There’s so many different things going on at once, but you’ll love it! 4. There are websites on websites of Fan pages and notes! The fact that there is a community of people so intrigued with this book is incredible. Honestly, this is one of the reasons why I wanted to read House of Leaves. So many people are talking about it! There are people who teach you how you should read this book and some people who will tell you what they figured out. If you have a question (besides the answer to the entire book), I’m guarantee you that one out of the 59,000,000 search results should be able to provide you with some kind of answer. Seriously, check the number of Google search results for this book… Outrageous! 5. You feel every emotion! This book will have you depressed, scared s***less, happy, miserable, laughing so hard you almost pee yourself, and will leave you wanting to pull your hair out. Danielewski has this way of bouncing through different scenes, and when something happens, you will feel it just as much as his characters do. 6. The language. It’s dirty, fun, raunchy, exciting, rotten, yet wonderful at the same time. Another thing I love about this book is that every once in a while, Danielewski will surprise you the most beautiful lines you will ever read. It will literally make you pause because you appreciate the sound of the words and how poetic the language is. There’s so much to learn from his writing. 7. Women have an interesting role. I’m not telling you why, you will have to figure that one out for yourself. 8. It’s scary! When you read the synopsis of what the book is about, it might not sound scary. “Ooh, a story about a house that is bigger on the inside than on the outside…how scary can that be?” Don’t worry, you’ll figure out how scary it is when you start having nightmares. Just make sure you don’t read this before bed! 9. The book consumes your mind. You will be thinking about this book long after you’re done with it. Why? Because of the way that Danielewski approaches subjects and how it makes you feel. For example, fear. There’s death in the book, but there’s no clowns, no chainsaws or any other of that sort of scary thing. Instead, Danielewski takes actual fears and he plays with them. He understands what really freaks people put, and he won’t let you forget it. 10. Nightmares! I already mentioned nightmares, I know. This was another main reason why I wanted to read the book. I love a good scare. However, I was one of those people reading the book reviews that thought, “There’s no way this book is going to give me nightmares.” Wrong. I had three nightmares during the span of reading this book! And not just any nightmares, but the kind that make you shoot out of bed with sweat pouring down your face. There’s nothing to worry about though. If you get too freaked out by the empty space under your bed, just sleep with the book next to your pillow. You will be able to knock someone out with how firm the book is! 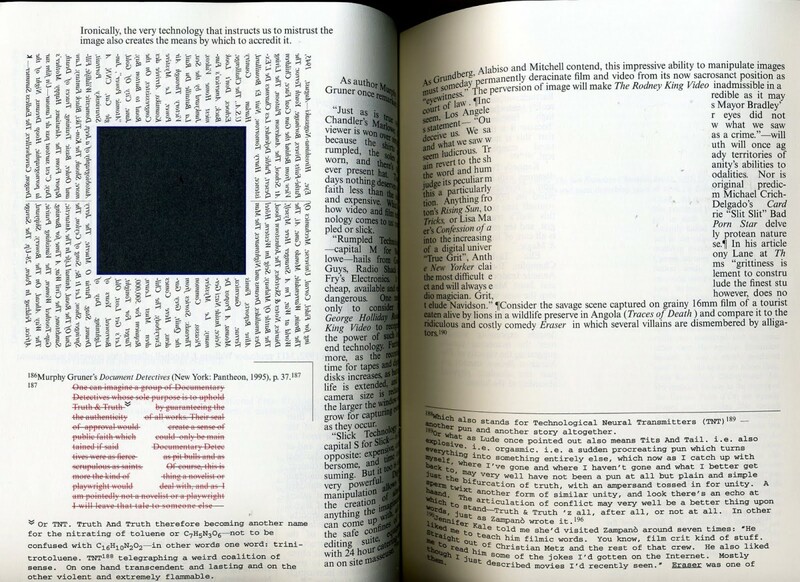 There is so much to talk about in House of Leaves. I could continue giving you reasons, but you really need to read it and see for yourself! It is truly a unique piece of art. Also, I really hope you fall in love with the beauty of the language like I did. This is one experiment that succeeded. If you do read it or have read it in the past, let’s talk!